Stop right there! Don’t place another tile. 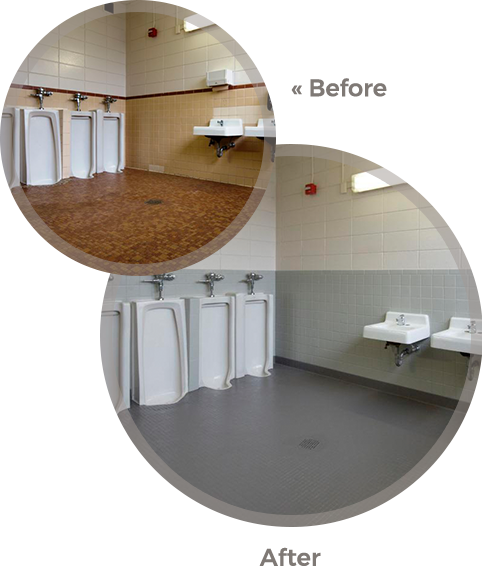 Midwest Floor Restore can help you bring new life to old tile floors, walls, and other services with SaniMAX-C. Gone are the days of re-tiling your entire area. 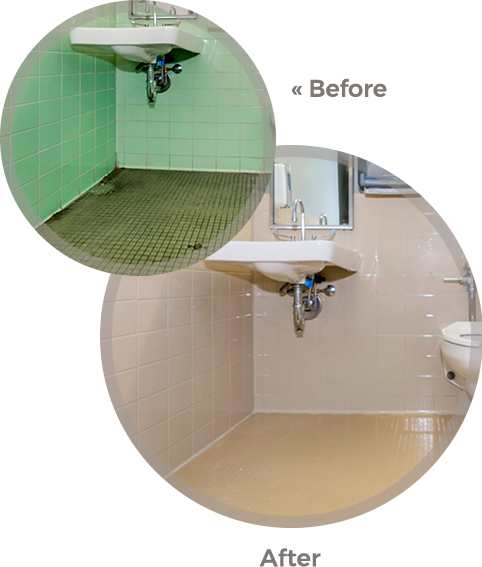 SaniMAX-C can help save your old tile and grout, prevent graffiti damage, and it even comes in different colors. SaniMAX-C is a new evolution in tile surface protection. It is based on a unique, newly developed polymer technology called Xolite, which is formulated to provide superior protection and extraordinary ease of cleaning for tile and grout surfaces. The resins in Xolite form an incredibly strong cross-linked structure, creating a completely impenetrable surface resistant to staining, scuffing and related sources of surface damage. Having trouble keeping your walls looking shiny and new? SaniMAX-C™ will give you dull wall tile a new dazzling high gloss finish. For an added bonus, SaniMAX-C™ is graffiti resistant and most graffiti can easily be removed with simple cleaning. SaniMAX-C™ with Textite™ gives floors a new look in a variety of designer colors with a safe surface texture. 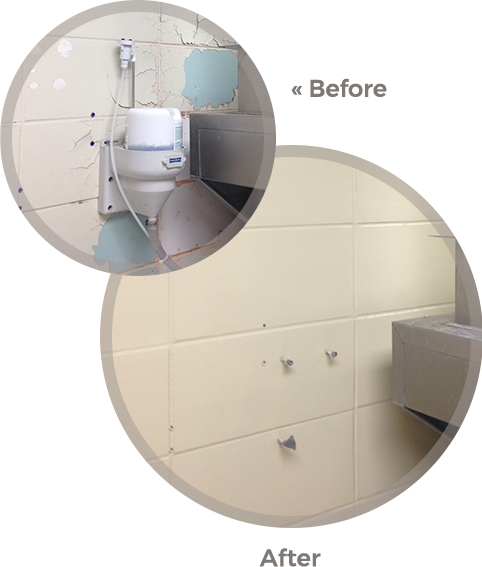 SaniMAX-C™ can also make cracks and chips in older tile and other surfaces disappear! SaniMAX-C™ can beautifully restore old, faded epoxy and other surface types. You’ll get a brand new look and a surface that is easy to maintain.